Who has not heard of the hit TV series Game of Thrones by HBO? I know we're supposed to speak only of movies here but I'm a fan of Game of Thrones and when I saw this video, I definitely wanted to share this to all of you. 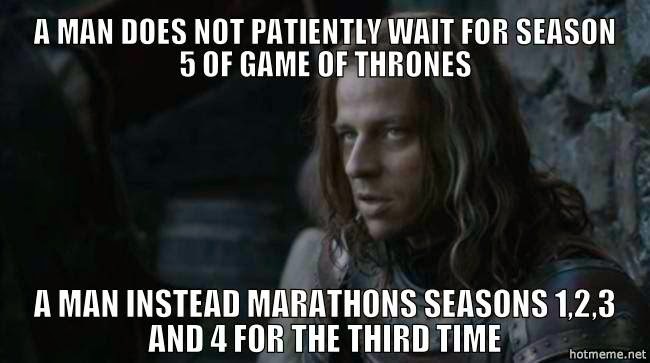 Season four of Game of Thrones is over and many fans are waiting for its fifth season consisting of 10 episodes to premiere sometime around April 2015. It's very funny and what more can I say but enjoy and have a laugh.